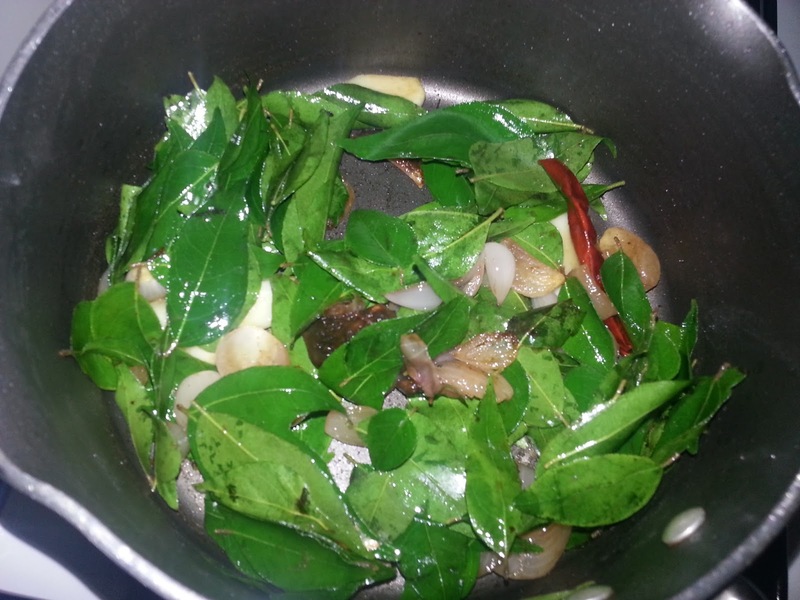 I had lots of fresh curry leaves at home and was searching for a recipe to use them up. I came across several recipes to make chutney but most of them required coconut which I did not have handy. I came across this recipe which did not require coconut and I found it quite interesting and was tempted to prepare it. I am so happy I went ahead with my instincts. 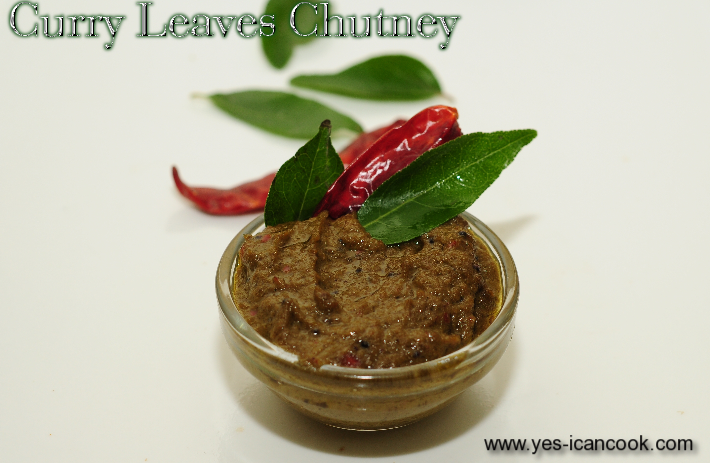 It is such a tasty and flavorful chutney. My husband loved it and said I should make this more often. I now also have a new blogger to follow as I am sure the other recipes are definitely worth trying. 1. Wash the curry leaves and drain the water. Keep aside. 2. Peel the garlic and the small onions. Cut the small onions into 2-4 pieces. 3. In a saucepan add 1 Teaspoon oil. 4. 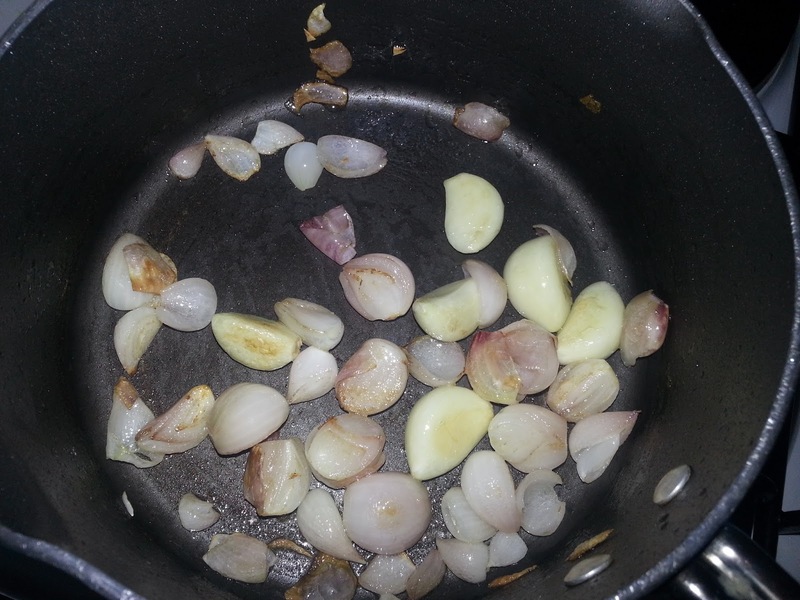 Add the garlic and small onions and fry till they turn golden. 5. Add red chilli, tamarind and mix. 6. Add the washed curry leaves without any water and fry till the raw smell of curry leaves is gone. 7. Switch off flame and let this cool down completely. 8. Grind this to a smooth paste with salt and water as required. 9. In a saucepan heat oil. 10. Add mustard seeds and once they splutter add urad daal and fry till it turns golden. 11. Add asafoetida and add the ground curry leaves chutney. 12. Cook for 5 minutes and serve warm. Thank you so much sara for trying my recipe...you made it perfectly...you have a nice blog and neat presentation. Thanks a lot Shanthi. Loved the chutney. I will definitely try more of your recipes.